Spacious Semi Detached House in a Cul De Sac Within a Popular Modern Development. Walking Distance to Local Schools & Town Centre, a Short Walk from Main Bus Route. Naturally Bright Accommodation Which Would Benefit From Further Modernisation. 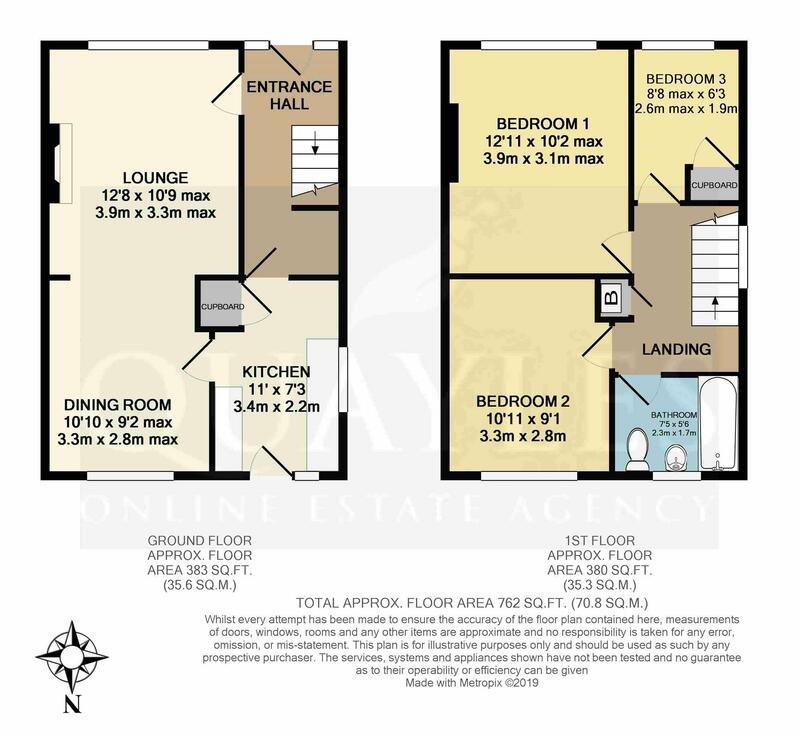 Comprising Entrance Hall, Lounge & Semi Open Plan Dining Room & Separate Kitchen. Good Size Landing with Airing Cupboard. 3 Bedrooms (2 Good Doubles) and Bathroom. Gas Fired Central Heating, uPVC Double Glazing and PVC Fascias & Soffits to the House. Driveway Parking for 3-4 Vehicles Leading to a Detached Garage with Adjacent Store Area. Open Plan Lawned Garden to the Front. Generous L Shaped Enclosed Garden to the Rear. From Parliament Square in Ramsey town centre, head West along the A3 Lezayre Road, passing the schools and turning right into Gardeners Lane. Take the second turning on the right into Greenlands Avenue and follow the road around taking the first turn on the right into the cul de sac where number 48 will be found along on the right hand side, being clearly identified by our For Sale board. A half glazed uPVC entrance door and side panel leads into the entrance hall. A spacious area with stairs leading up to the first floor with an open space beneath. Cupboard housing the electricity meter and fuses. Doors to the lounge and kitchen. Exposed floorboards and stairs. Telephone point. A naturally bright, south facing room with a uPVC window to the front elevation. Fireplace with an inset electric fire. TV point. Clear opening to the dining room. A uPVC window looks out over the rear garden. Door to the kitchen. Fitted with a basic range of units along with a stainless steel sink and drainer. Space for a cooker, fridge and washing machine. Having uPVC windows to the side and rear along with a uPVC door to the garden (in need of re glazing). Deep, built in cupboard with shelving, currently housing a freezer. A uPVC glazed panel provides an excellent degree of natural light. Exposed floor boards. Airing cupboard housing the 'Vaillant' gas fired 'ecoTec pro 28' boiler. Fully tiled and fitted with a pastel pink suite of panelled bath with an electric 'Mira' shower over, pedestal basin and WC. Obscure glazed uPVC window. 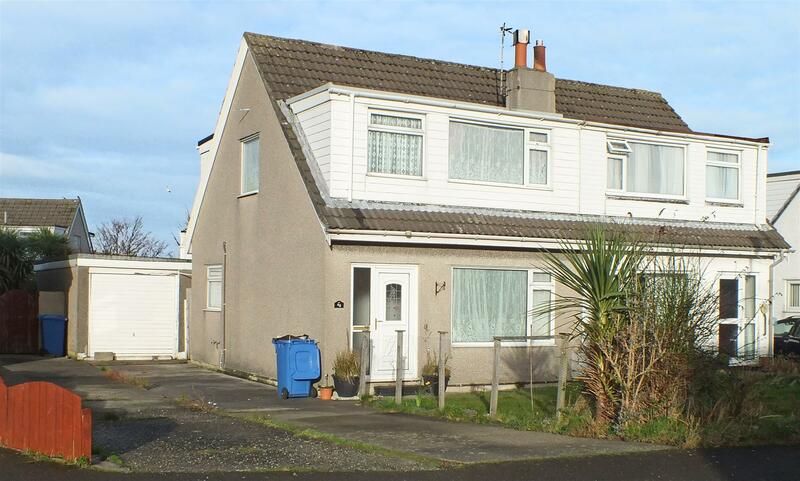 A double room located to the rear of the property with a uPVC double glazed window. An excellent double room with a uPVC window to the front enjoying distant mountain views. A single room with a uPVC window to the front and a built in cupboard over the stairs. A good size, open plan lawn and a concrete driveway providing parking for 3-4 vehicles leading directly to the detached garage. Cold water point. Gated access to the rear garden. Having an up and over door and timber framed window to the side. Behind the garage is a store area approx 9'5 x 4'8 with a timber framed window and a wooden entrance door. Having a concreted area adjacent to the house, lawn and a paved area with pond behind the garage/ store. Hedge and fencing to the boundaries.